Ironbark’s mineral assets in Australia comprises of two base and precious metal projects in New South Wales (NSW). The Captains Flat Project contains the historic Lake George Mine and together with the adjoining Peakview project, which contains several base and precious metal prospects, covers a strike length of over 80km of prospective geology. 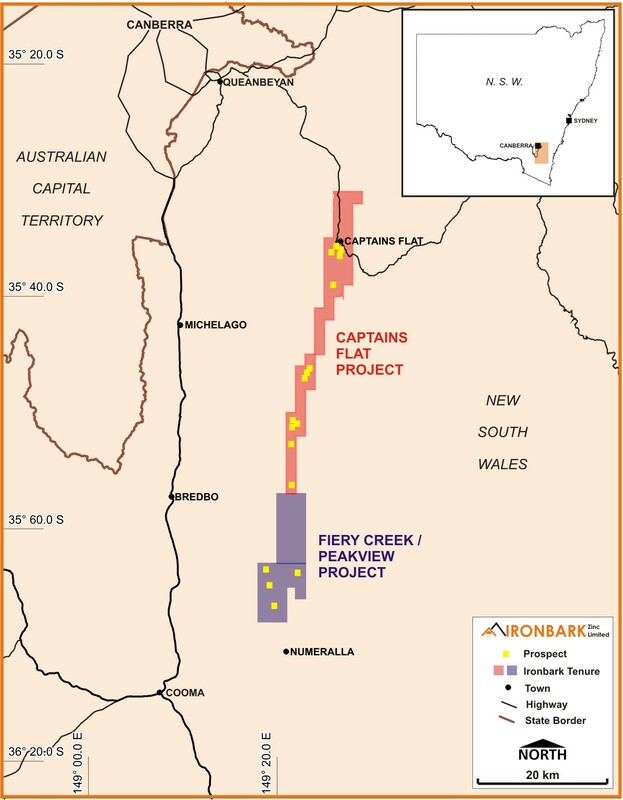 Ironbark also owns the Fiery Creek Prospect in NSW which consists of the historic Fiery Creek and Macanally gold and copper working from the early 1900’s that extend for over 7km.